The shredder is a system that combines the action of the shredder with that of the granulator and is an economical solution for granulation processes of plastic materials, bulky or particularly tough. The effectiveness of using a shredder as a primary element of the system allows to regulate the loading of the material into the granulator below, thanks to the fact that the shredder hopper can be loaded with a bigger quantity of material. The granulator is also mounted on wheels in order to facilitate the displacement whilst the periodical maintenance on the plastic shredder. 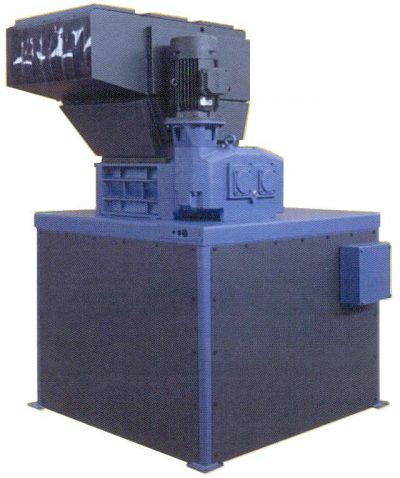 The three models available for the plastic shredder are suited for three possible capacities (up to 150 Kg/h, 450 Kg/h and 700 Kg/h).